UPTET 2018 Result Date Declared - JOBS THE7 :: Find Government Jobs, Sarkari Naukri, Sarkari Result, Admissions, Rojgar, Exams Alerts. 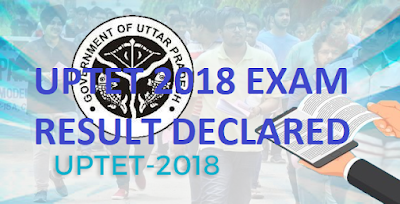 It is hereby informed that UPTET Written Examination is scheduled on 28/October/2018 on the various centers of Uttar Pradesh. Candidates need to check the portal frequently for downloading their UPTET Result notification. Candidates need to provide their valid credentials for downloading their Result & if Result will be in the format of PDF File, here they need to search their details (Roll No., Name, etc. ).